The Automotive Customer Relations Bureau is committed to protecting your privacy as a collision repair facility and customer. This policy applies to the Automotive Customer Relations Bureau and governs data collection and usage at the Automotive Customer Relations Bureau. As a provider of customer satisfaction measurements, the Automotive Customer Relations Bureau, with the assistance of Phoenix Solutions Group, collects customer information, such as name, address, vehicle, insurance and repair data provided by the clients served. Information collected by the Automotive Customer Relations Bureau and Phoenix Solutions Group is used for the purpose of improving the experience a customer receives at a collision repair facility, increasing customer referral, repeat business and referral business from commercial sources for the clients served. The Automotive Customer Relations Bureau and its operational service, Phoenix Solutions Group, collect and use a collision repair facility's customer information to process a survey product as requested by the clients served. The Automotive Customer Relations Bureau and Phoenix Solutions Group does not sell, rent or lease its customer data to ANY third parties including such companies as CARFAX, Insurance Companies, Credit Bureau's, etc. The Automotive Customer Relations Bureau or Phoenix Solutions Group may, from time to time, contact a customer on behalf of clients served about a particular problem that a customer may have experienced. In those cases, the customer information is not transferred to ANY third party. 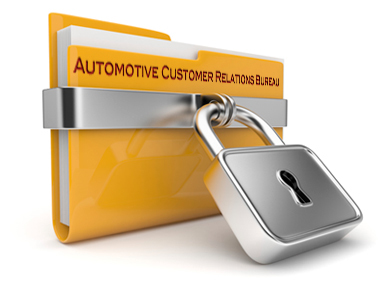 The Automotive Customer Relations Bureau or Phoenix Solutions Group may access and/or disclose a client's information if required to do so by law or in the good faith belief that such action is necessary to: (a) conform to the edicts of the law or comply with legal process served on the Automotive Customer Relations Bureau and/or Phoenix Solutions Group or; (b) protect and defend the rights or property of the Automotive Customer Relations Bureau and/or Phoenix Solutions Group, including; or (c) act under exigent circumstances to protect the personal safety of employees of the Automotive Customer Relations Bureau, Phoenix Solutions Group or the public. The Automotive Customer Relations Bureau and Phoenix Solutions Group are committed to protecting the security of the information provided by the customers served. We use a variety of security technologies and procedures to ensure our client's information is free from unauthorized access, use or disclosure. For example, we store the client information provided on computer systems with limited access, that are located in controlled facilities. The Automotive Customer Relations Bureau and Phoenix Solutions Group will occasionally update this policy to reflect company and customer feedback. If there are material changes to this policy or in how the Automotive Customer Relations Bureau and Phoenix Solutions Group will use a client's information, the Automotive Customer Relations Bureau and Phoenix Solutions Group will prominently post such changes prior to implementing the change. The Automotive Customer Relations Bureau and Phoenix Solutions Group encourage you to periodically review this policy to be informed of how the Automotive Customer Relations Bureau and Phoenix Solutions Group is protecting your information. Customer information collected will be stored and processed at the Automotive Customer Relations Bureau and Phoenix Solutions Group Corporate Headquarter. The Automotive Customer Relations Bureau and Phoenix Solutions Group abides by the safe harbor framework as set forth by the U.S. Department of Commerce regarding the collection, use, and retention of data.